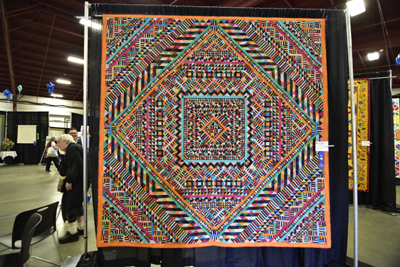 As I promised my readers, here is another blog featuring more of the quilts from the 2018 Vermont Quilt Festival. 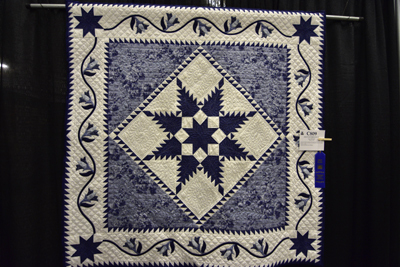 The photographs were taken by my husband, Tom McMillen and each caption will credit the names of the quilts as well as their creators and their locations. 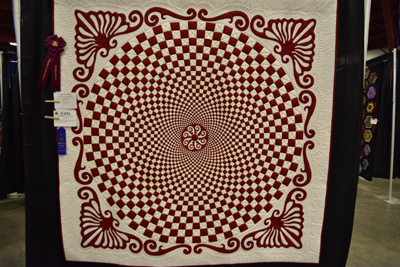 Sit back and enjoy these wonderful quilts! 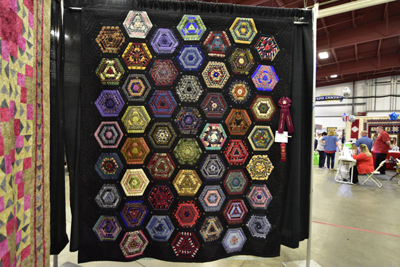 machine by Janet Dalis of Melrose, MA. 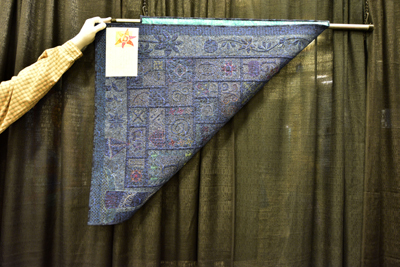 I loved this sampler! 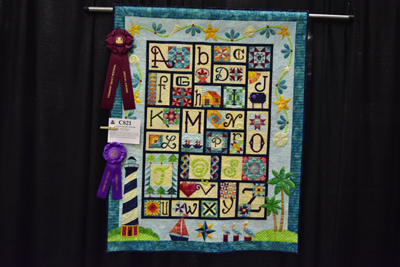 were beautifully done earning winning ribbons! amazing! 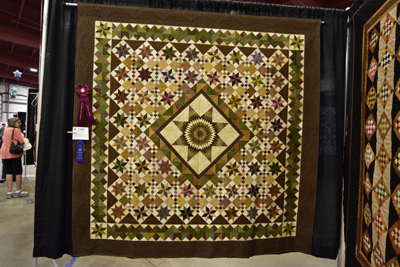 What a lovely quilt! 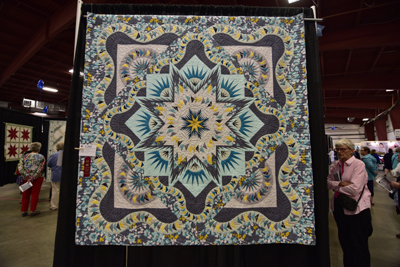 Radiant Stars, pieced and quilted by Nancy Simmons of Duncannon, PA.
She used domestic and longarm quilting machines to quilt it! Another winner! approximately 33,666 pieces? Surely my math must be off?.. featured below?...It isn't! 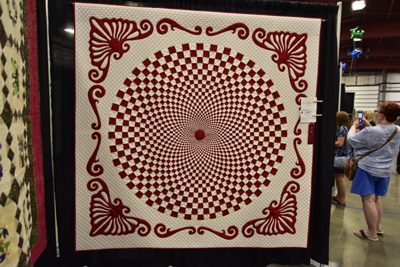 Look at the center of this quilt! 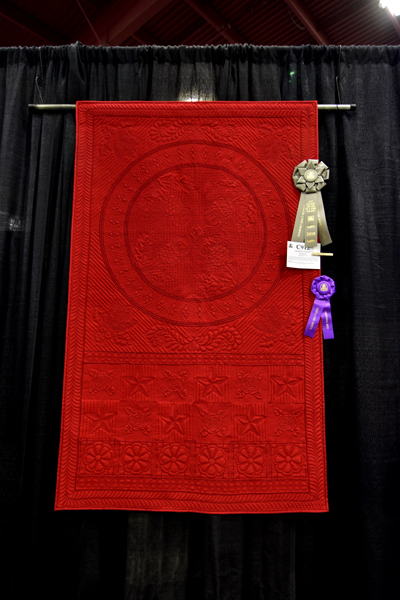 Rosslyn Tartan, created and quilted by Pat Delaney of Abington, MA. 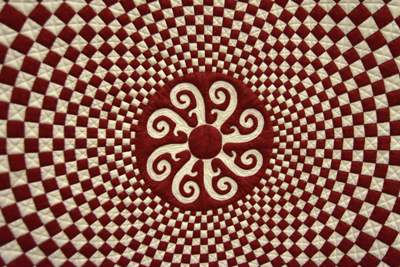 hand quilting be "the art", and this one one does just that! 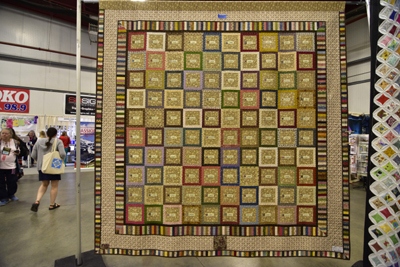 hand-embroidery, much like a crazy quilt! Very nice indeed! but different to the one above! Andree Bergeron, Lavel QC. 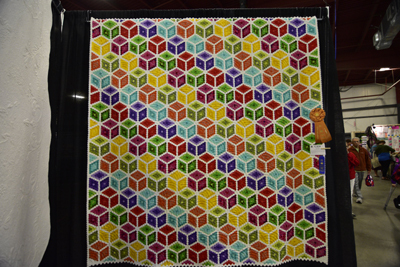 What a lovely child's quilt! 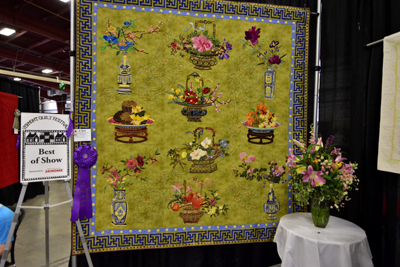 beautiful is this quilting, earning multiple ribbons! 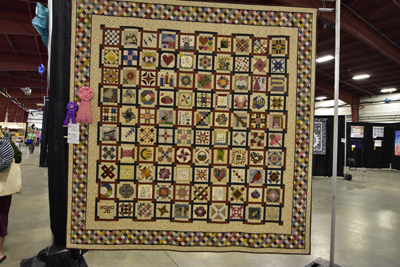 This is but a sampling of the many beautiful quilts at this year's show. 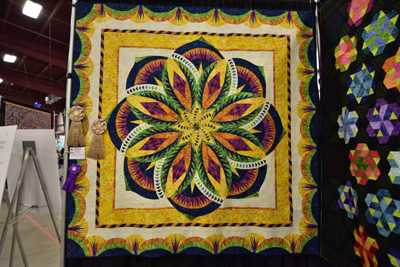 Do mark your calendars and come to The Vermont Quilt Festival next June 2019 (information can be found on line)! You will be glad you did! 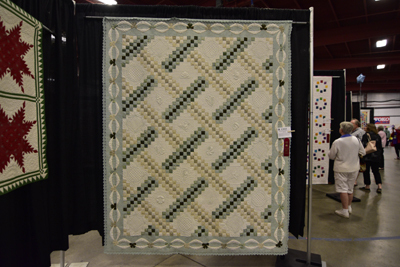 Labels: A sample of The Vermont Quilt Festival 2018.